Still only 18 years old, James “Woodsy” Woods has quickly become recognised as a rare British ski talent. He joined Salomon Grom Camps at 13 and by 16 was already considered one of the best freestyle skiers in the UK. After several trips round Europe with the Salomon UK team in the past couple of years, Woodsy spent last season out in Breckenridge … so who better to turn to for a round up of the resort. For more info on Breckenridge including a piste guide and piste maps, check out Snowfinder Breckenridge, and enjoy this clip of Woodsy enjoying life out in Breck. Lesley grew up skiing in Aviemore and has become a double Olympian and Scotland’s best known snowboarder. A pioneer of the women’s snowboarding scene, she’s the only British snowboarder to have won a half pipe World Cup event. As well as starring in and producing her own snowboarding films, she’s also a fully qualified BASI coach and runs the annual Roxy snow camps. For more info on Les Arcs and the rest of Paradiski including a piste guide and piste maps, check out Snowfinder Paradiski. In times where everyone is fighting over taking you to the mountains we thought we would enlighten you about what costs incur when flying with various airlines. The British flag carrier has always been pretty good with ski/snowboards, however recently they have changed their stance on it. Charge: Up to 23kg ,Free. Up to 32kg and in addition to your normal luggage allowance; £30. The Swiss national airline, Swissair, is renowned for being reasonable towards skiers and snowboarders and this year they do not fail to impress in these hard times. Ryanair have a habit of taking money off the customer as much as possible, and taking skis or snowboards on a flight is no exception. Easyjet have a tendency of advertising a lot regarding their winter flights and their baggage rules are quite impressive. BMI have a complicated way of explaining their sport baggage, however it seems like they have quite decent prices. Flying out of London Stansted, London Gatwick and Bristol to Chambery and Sion, Snowjet call themselves the ski flight specialists. Charge: Up to 23kg and in addition to your normal luggage allowance; Free. 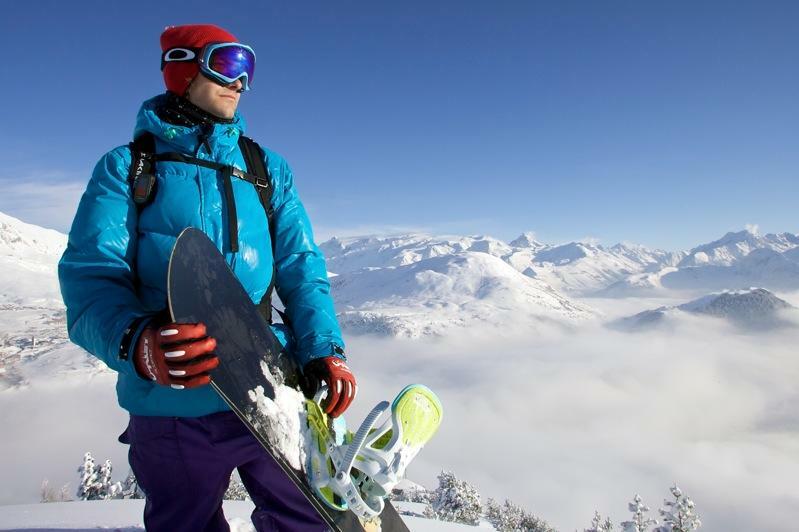 Scandinavian Airlines only just recently change their policy regarding ski/snowboard equipment. As you can see from our list the airlines differ highly and even though the ticket might be very low, the costs add up if you are heading out to pump the powder in Chamonix or Les 3 Vallees. That considered, it can also be worth noting that Easyjet, for example, run a Grenoble service only during the winter ski season. This proves, along with their mass winter sports advertising, that they are committed to delivering a good service to skiers and snowboarders even though they are a so-called low-price airline. One of the best snowboarders to have come from the UK, Scott caught the boarding bug when he was just 12. With character and bags of natural talent the sponsors (namely Red Bull and Oakley) came calling and Scott has spent much of the last decade getting extensive coverage in the UK and global snowboarding press, as well as featuring in a host of breathtaking movies. For more info on Avoriaz and the rest of Portes du Soleil including a piste guide and piste maps, check out Snowfinder Portes du Soleil. James started snowboarding over 20 years ago and was recently voted the UK’s 4th best snowboarder ever. He began his career perfecting tricks in the snow park, and then developed into a pure backcountry boarder. He’s done over 10 seasons based in Chamonix and last season won 3rd place in the highly coveted World Freeride Tour event held there. His knowledge of the slopes in and around Chamonix is second to none. “Chamonix is situated in one of the most unique valley’s in the world. It never fails to make the hairs on the back of my neck stand up as I drive up the valley at the start of the season and Mont Blanc comes into view, followed by the jagged peaks surrounding the Aiguille du Midi that dominate this long deep valley. For more info, including James’s favourire runs and apres ski spots in resort, check out Snowfinder Chamonix. At eighteen, Ed Leigh did his first season in Val d’Isere and the resort captured his heart. After five seasons in the Haute Savoie, his professional career was cut short by injury. As editor of Whitelines magazine Ed visited every continent on earth in search of snow. He is now the snowboarding half of the BBC’s Ski Sunday presenting team and the voice of Olympic snowboarding commentary. For more info on Val d’Isere, including Ed’s favourite runs, piste maps and more, check out Snowfinder Espace Killy. Zoe Gillings is Britain’s most successful Olympic snowboard cross athlete of all time. Zoe fell in love with the Portes du Soleil area at an early age and Morzine, with its mixed terrain, has always been a favourite. Ten years in the Portes du Soleil has seen Zoe compete in two Olympic Games, win world cup snowboarding competitions and regularly stand on World Cup podiums. For the last 4 years Zoe has been, and currently maintains the position of Great Britain’s highest ranked Olympic snowsports athlete. For more info on Morzine and other resorts in the area check out Snowfinder Portes du Soleil, including Zoe’s favourite runs in both Morzine and Chatel. You can follow Zoe at www.zoegillings.com. Pat Sharples is one of the leading names on the British ski scene. He started skiing at the age of 6 and by 16 had decided to leave school, and England, to work out in Courchevel. Living in Les 3 Vallees for 12 years, Pat developed a talent for freestyle mogul skiing and then hit the freeride tour in 1996. He’s competed in a number of big mountain freeride and freestyle competitions around the world and has graced a number of ski magazine from covers. Nowadays he runs the Salomon Freeski Gromcamps, works tirelessly to promote skiing around the UK and makes the occasional TV appearance! Here’s even more info on Courchevel and the 3 Valleys ski area, including some of Pat’s favourite runs.